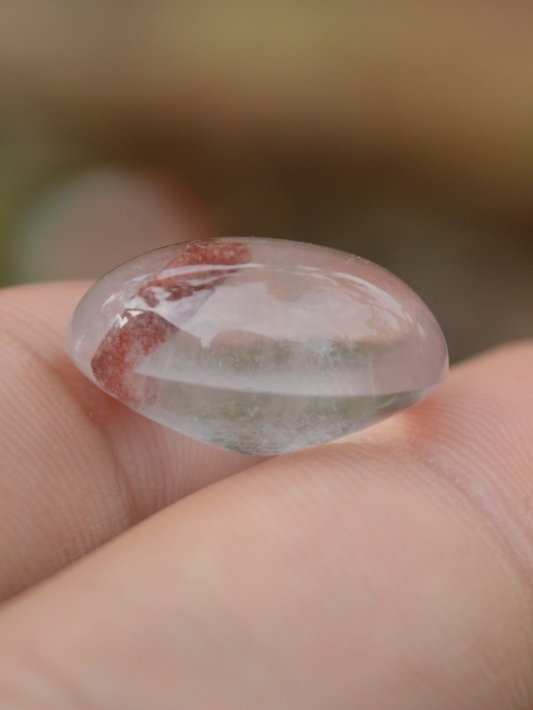 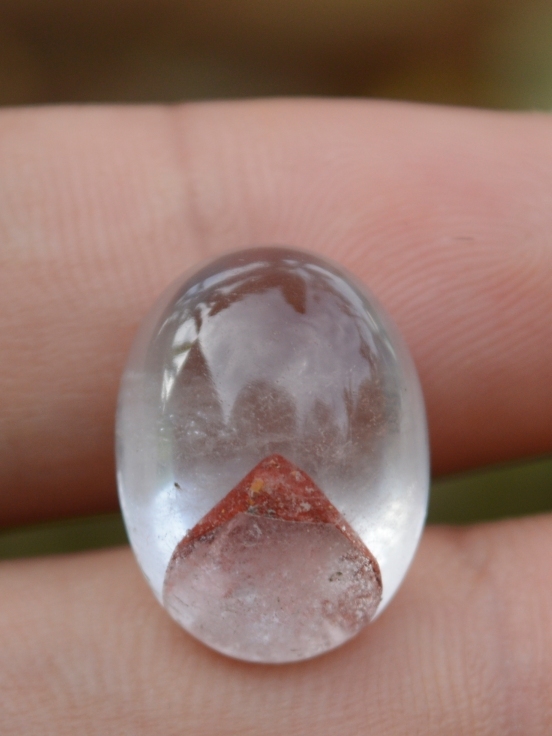 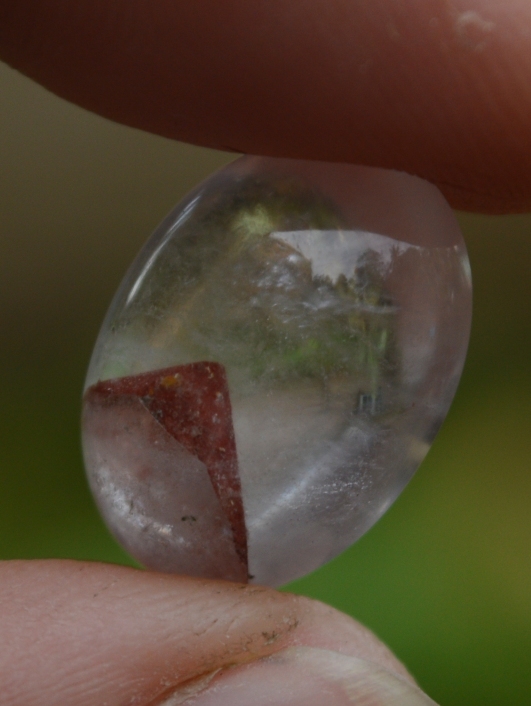 This is a very beautiful Natural Quartz with Lepidocrocite inside. 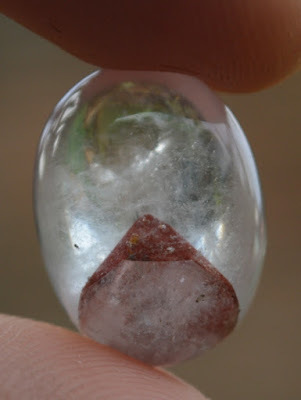 The lepido is naturally shaped like a Pyramid. 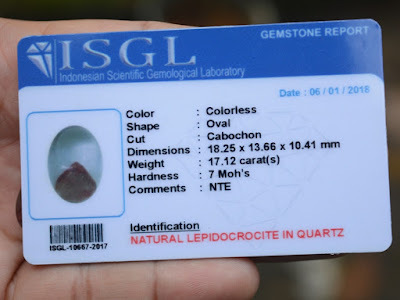 It is already checked by ISGL Gems Lab Jogjakarta. 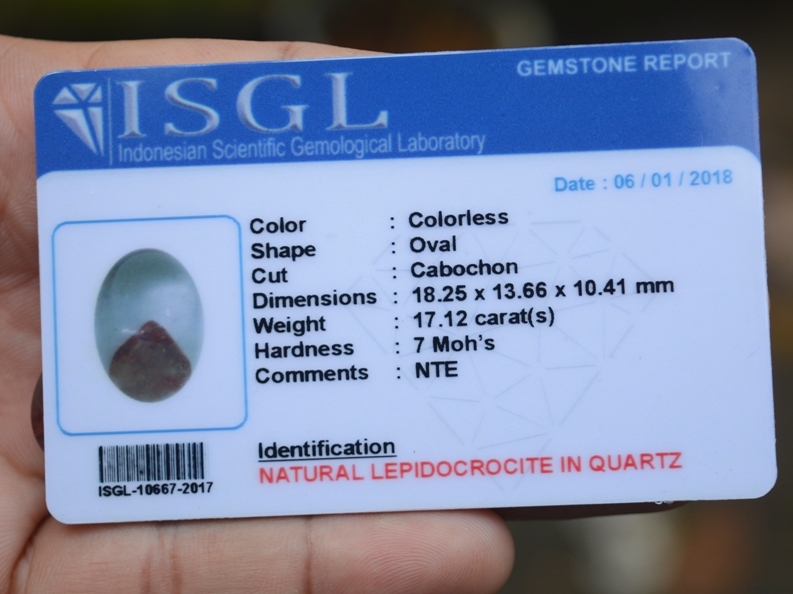 The size of the gems is 18,2mm x 13,6mm x 10,4mm, and weight 17,2 carats. A unique and rare quartz!